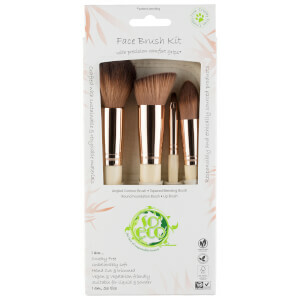 Bring your must-have tools in tow so you can transition from day to night looks whilst on the go with the EcoTools On The Go Style Kit; a travel-friendly set of four carefully-selected makeup brushes that together help you achieve a complete makeup look. 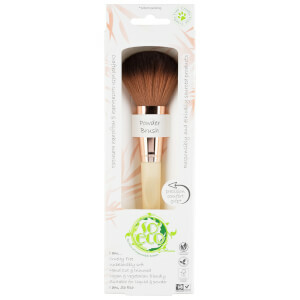 Crafted with highly sustainable bamboo handles, 100% cruelty-free synthetic taklon bristles and recycled aluminium ferrules. Conveniently arrives with a dual-compartment zip pouch for handy storage on your travels. A must-have tool for applying liquid foundations as well as powder blushes, bronzers and contouring products for a perfectly sculpted complexion. 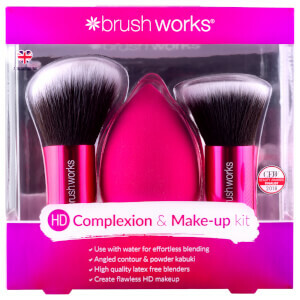 A versatile brush for adding a rosy pop of colour to cheeks, loose powders, setters and finishers, as well as sweeping away fallout from eyeshadow in a single stroke. 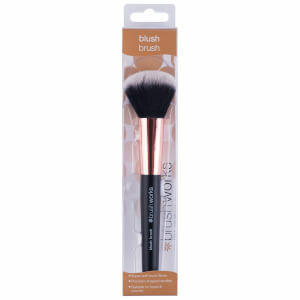 Perfect for applying, blending and building colour on lids with powder or cream eyeshadows. Ideally shaped and sized to fit the crease to create definition and dimension. Ideal for shaping and filling in brows, accentuating lids with cream eyeliners and applying eyeshadows to your bottom lashline.